We have an excellent, dynamic and enthusiastic group of dedicated teachers who are continuously attending upgrading courses in order to learn the latest teaching techniques. They are university graduates and have vast teaching experience. Our teachers come from different Latin American countries and they are fluent in Spanish. Their aim is to provide excellence in Spanish instruction along with a genuine Latin American experience. 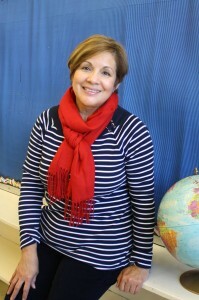 Mrs. Cano is an educator with much experience as both a University professor and high school teachers’ advisor in the areas of learning, communication and pedagogy. Furthermore curriculum development is also among her areas of expertise. Mrs Cano is an educational psychologist from Universidad de la Sabana (Bogotá, Colombia) and holds a Master Degree in educational consulting from Universidad Externado de Colombia (Bogotá, Colombia). Since 2008, she has been attending courses through the International and Heritage Language Association (IHLA) here in Edmonton regarding new technologies and tools to teach heritage languages. 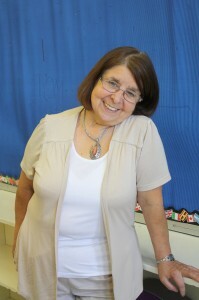 “Nancy is very supportive and makes everyone feel comfortable no matter what level each student is at in Spanish. I wasn’t expecting to enjoy Spanish as much as I did. I will definitely return to learn more. A very positive experience”. Mrs. Quintero has an extensive background in foreign language instruction, Languages program coordination and curriculum development for people’s language skills in the Workplace. 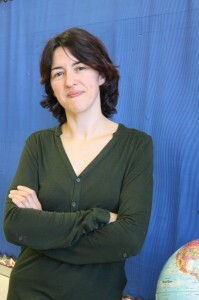 She is a French and Spanish teacher from the Universidad Pedagógica Libertador de Caracas, Venezuela. She holds a Master Degree in Education with a major in Administration and Supervision and a minor in Languages Learning from The University of South Western Louisiana, Lafayette, La, USA. 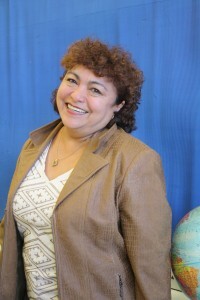 Ivonne is Spanish instructor at the Faculty of Extension, University of Alberta since 2009; and at the Gabriela Mistral School since 2011. “Ivonne is highly knowledgeable and empathetic; she is concerned with our progress and strives to make learning proceed in an organized manner. As always, Gabriela Mistral offers a wonderful place to learn with all kinds of cultural resources”. 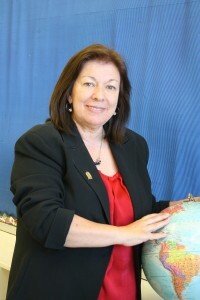 Mrs. Gabriela Jessome was born in Merida, Yucatan Mexico. She graduated as an art teacher at the early age of 12. She continued her dance education in ballet, folklore, polynesian dances, jazz and modern dance – graduating in 1983 as an international folkloric dance teacher. Mrs. Jessome graduated from the Universidad Autonoma de Yucatan – Facultad de Contaduria y Adminstracion (UADY – FCA) as a certified professional accountant. She holds a Masters in International Marketing from UCLA, California. She has extensive experience in Latin American culture and is involved in Edmonton’s community promoting Latin culture through dance and arts. She has also taken several teaching and training workshops in Spanish Literature, as well as in English as a Second Language. In 2004, Mrs. Jessome was invited to lead the Dance Workshop at the Gabriela Mistral Latin American School, in which she is still actively involved. She has done several presentations in different community activities such as Latin Elements, International Mother Language Day and at the Heritage Festival. She strongly believes that even though she has been working in the stone and construction industry for the last 25 years, what brings balance to her life is education, not only through dancing but through teaching. 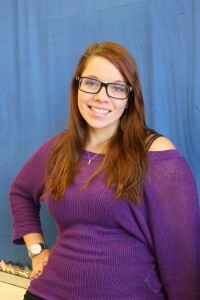 Born and raised in Alberta, Jennifer began studying Spanish in 2007 at the University of Alberta. She spent 6 months abroad in Mexico in 2008 and later went on to complete her Bachelor of Arts Degree with a double major in Spanish Language and Literature and Psychology. 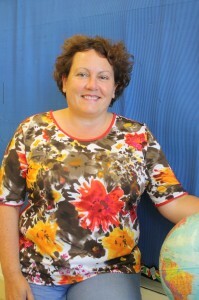 Jennifer is very passionate about Latin American culture and the Spanish language. She recently spent 8 months abroad, teaching English to children in the small town of Marchena, in southern Spain. Well versed in both Castilian and Latin-American Spanish, Jennifer loves working with kids and is excited to return to Gabriela Mistral and resume her role as pre-kinder instructor. 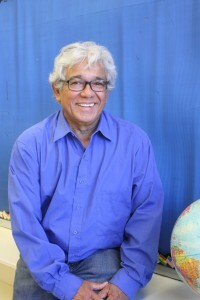 Mr. Hinojosa was born in Lima, Peru. He has been teaching English for several years at schools and universities in Peru. He holds a Bachelor degree in Education with a major in Math and Science for High School. 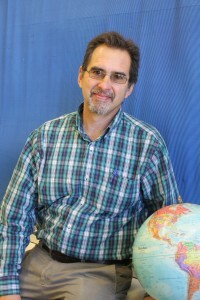 He moved to Edmonton in 2010 and has been working for Edmonton Catholic schools as an Educational Assistant since 2011. He has worked as a Spanish teacher for a tutoring company as well as teaching privately. She holds a bachelor’s degree in Arts with focus in Spanish and Literature from University Technological of Pereira in Colombia. She has more than ten years of teaching experience and she has had the privilege to work with a wide variety of students and community in general; from this experience she has assured one her biggest passion which is teaching. As a versatile instructor, positive attitude and patience are her greatest strengths. Right now, she is about to start a master in Spanish as a second language in a Spain University. 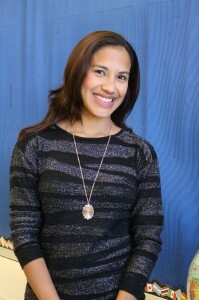 Cinthya is a qualified teacher with more than 8 years of experience working with children and their families. She holds a Kindergarten Teacher degree and post-graduate studies in Speech-Language Pathology (Spanish) from Peru. Cinthya is also finishing a Bachelor in Arts (after-degree program) with major in Psychology and minor in Spanish Language &amp; Literature at the University of Alberta. 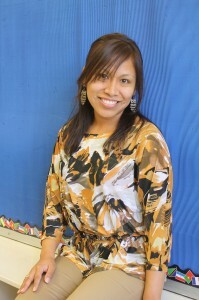 This new learning experience has provided her a broader view of how to help children to succeed, especially in a multicultural country.Cinthya also volunteers in non-profit organizations such as ABC Head Start and Catholic Social Serviceswhere she participates in early learning programs for children from low income families. Born in Valparaiso, Chile. Elementary Teacher, Graduated from U of Chile, Valparaiso-Chile. Retired Librarian from the Edmonton Public Schools, last duties were at Woodcroft (IISLE) Institute for Innovation in Second Language Education. She was in charge of the German, French, Ukrainian, Punjabi and Aboriginal Language Resource Centre. Librarian for the Spanish Language Resource Centre at IISLE.